Some 25,000 people are expected to head to San Bernardino this weekend to watch hip-hop shows, sample marijuana products and celebrate cannabis culture during Tommy Chong’s Blazers Cup. The festival is one of a couple dozen marijuana-themed events held each year at the city’s National Orange Show center. 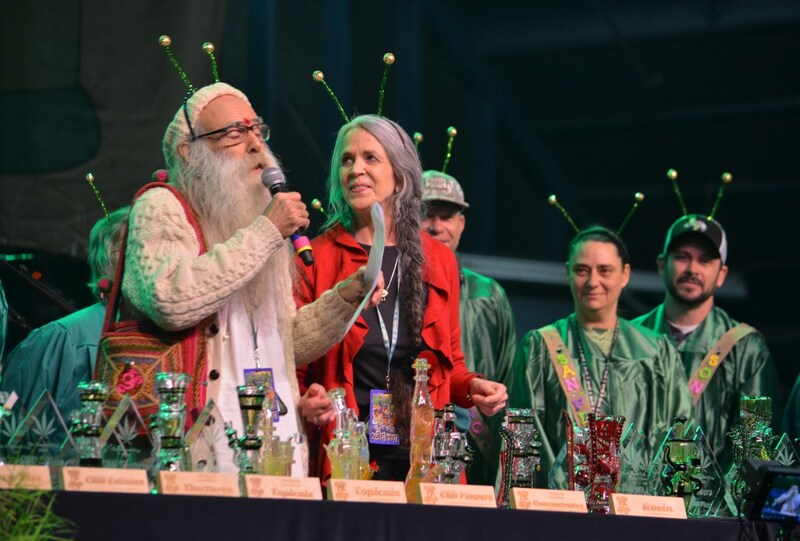 And California’s cannabis event circuit just keeps getting bigger, with more than 100,000 people a year attending shows such as the Chalice festival in Victorville, Emerald Cup in Santa Rosa and High Times magazine’s Cannabis Cup series. But the future of many of those events is uncertain thanks to one sentence buried in 276 pages of rules California recently released to regulate the cannabis industry. Unlike regulations initially passed in Colorado and other states that have legalized recreational marijuana, the new rules for California’s industry do offer a route for cannabis festivals to continue. Starting Jan. 1., festival organizers will be eligible for permits that will allow them to host events where marijuana can legally be sold and consumed. Those permits come with a slew of conditions that will make future marijuana festivals look less like the free-for-all events weed-loving Californians are used to seeing and more like closely regulated craft beer or wine festivals — but with cannabis. The rules also restrict marijuana events to happening at the 80 county fair or district agricultural association properties scattered throughout California. But the single rule that may pose the biggest challenge for festival organizers is a sentence that requires an operator to get written permission from the city where their event will be held. “For each event they do, they have to have local authorization,” said Lori Ajax, chief of the state’s Bureau of Cannabis Control, which will license events. It’s unclear how much money a pot festival generates for the surrounding community. No one has tracked that figure. So, given how many city council members and county officials have spoken out against marijuana festivals — including in hubs such as San Bernardino and Victorville — it’s also unclear where in California cannabis events will be allowed in 2018. Even before factoring in the challenge of getting local permission, the new rules for cannabis events in California will mean big changes to future festivals. At High Times SoCal Cannabis Cup in San Bernardino this April, a man dressed as Darth Vader joined a bevy of scantily clothed women to throw samples of marijuana to the crowd as the clock struck 4:20 p.m. Attendees could buy beer with marijuana-infused tacos or take a free hit off a vendor’s communal bong. And since guests — who generally had to be 18 or older — needed a doctor’s recommendation for medical marijuana to get in, Green Doctors set up a booth near the entrance, giving referrals to anyone complaining of migraines, anxiety or trouble sleeping. Much of that will change in 2018. Festival-goers will still be able to consume and buy cannabis at permitted events, and medical marijuana patients will still be allowed to get free samples of products. But no one will need a doctor’s recommendation to attend and they’ll all have to be at least 21. Also, all vendors selling cannabis products must be licensed by the state. They’ll only be allowed to sell up to an ounce of cannabis per person. And all products will have to be lab-tested and come packaged for individual sale, with clear labels listing ingredients and how much THC — the compound in cannabis that makes people high — is in inside. No alcohol or tobacco consumption will be allowed. And festivals will be limited to a maximum of four days. Organizers will have to pay $5,000 a year for an annual license if they want to host one to 10 events. It’ll cost $10,000 if they want to host more than 10 events in one year. And they’ll need to disclose company financial and ownership information, including past criminal convictions. On top of the annual license, organizers will need to apply for a temporary state permit for each event they host. Those applications will cost $1,000 each and require detailed diagrams of each venue, including a complete list of all licensed vendors, with no additions allowed within five days of the event. Doug Dracup, who founded the Chalice festival four years ago, said the regulation process is both “exciting and nerve wracking.” But he said he and his crew are happy with how the rules came together. Other major cannabis festival organizers, including High Times magazine and Insomniac, didn’t respond to requests to discuss the new rules. But even if an organizer follows those rules, their application to host an event will be turned down if they don’t have an OK from the local city council or, if the event is in an unincorporated area, the county board of supervisors. Until now, it’s essentially been left up to venue owners to regulate whether cannabis events can happen and what those events look like. 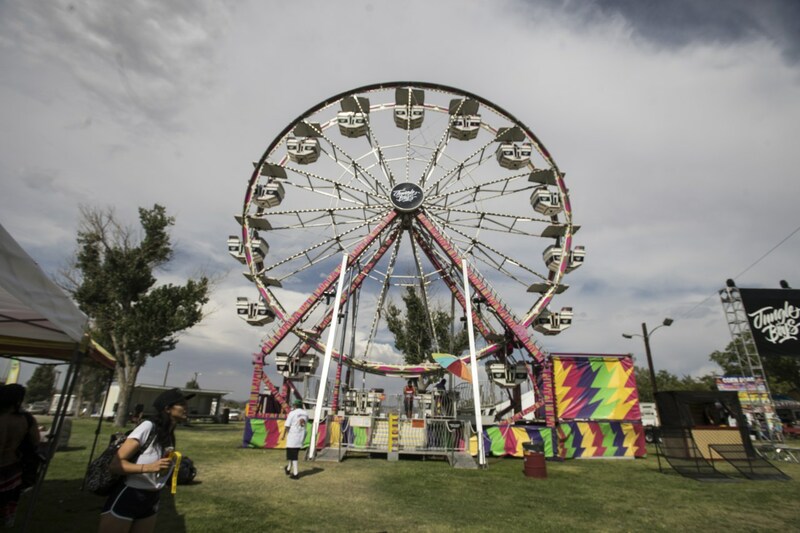 That means the National Orange Show’s board of directors has been able to green-light festivals even though San Bernardino city leaders have spoken out against such events in the past. The general manager of the National Orange Show — which currently gets half its business from cannabis events — didn’t respond to several requests for comment on how the new regulations might impact his venue. San Bernardino Mayor R. Carey Davis and several city council members also didn’t return messages asking whether they’d support allowing such events to continue. Victorville’s High Desert Event Center, at the state-owned San Bernardino County fairgrounds, plays host to a number of cannabis-themed festivals each year despite opposition from the local city council. The Chalice festival, which highlights cannabis concentrates, first landed in Victorville in July 2016. The City Council wrote a letter asking the fair board to cancel the event, citing safety concerns. But venue CEO Geoff Hinds has said they typically have fewer safety issues at cannabis events than at mainstream music festivals, and he said they can’t ban events from the state venue on moral grounds. He pointed to the festival’s track record, with sheriff’s officials confirming zero arrests or major incidents in four years. Officials at both the privately-run Los Angeles County fairgrounds, at the Fairplex in Ponoma, and at the state-owned Riverside County fairgrounds in Indio said their boards haven’t yet taken positions on whether to allow marijuana events at their venues. But festival organizers have encountered clear resistance in other cities. Board members for San Diego’s Del Mar Fairgrounds shut out the Good Life festival, which was planned for September. The picture is more optimistic for Emerald Cup, a Northern California festival that attracted close to 25,000 cannabis enthusiasts over two days in 2016. The event returns to the Sonoma County Fairgrounds in Santa Rosa on Dec. 9 and 10. Santa Rosa already permits medical marijuana businesses and is in the process of permitting recreational cannabis enterprises. Emerald Cup organizers declined to comment on the new regulations or how they might impact next year’s festival. Despite the lack of clarity on where events will be permitted, Dracup said he’s confident his Los Angeles-based company will be able to offer more cannabis festivals in the years to come. “We plan on creating new events under the Chalice festival umbrella that have different themes and are competition-specific that we will bring to other areas and markets,” he said.